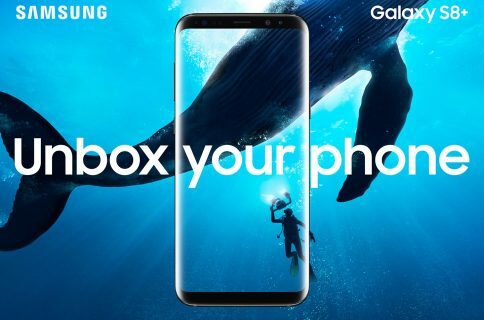 Wednesday, Samsung fired the first salvo against Apple’s upcoming iPhone 8 with the official introduction of its Galaxy S8 and Galaxy S8+ smartphones at media events in New York’s Lincoln Center and London’s Olympic Park. 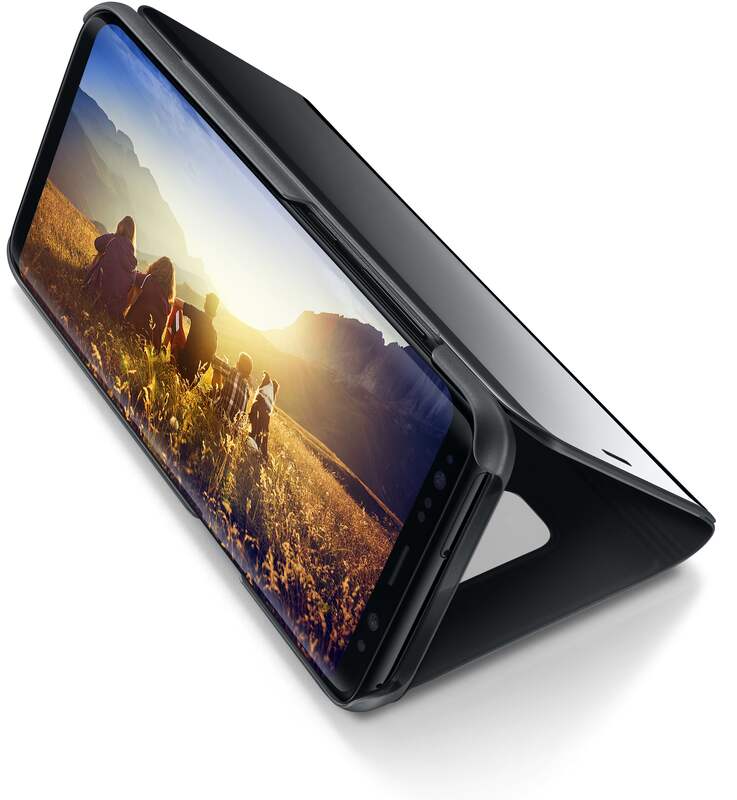 But the South Korean conglomerate didn’t stop there: they announced a 4K-capable 360-degree camera and other accessories, including a docking station that lets you connect your new Galaxy to an external display and wireless or wired keyboard and/or mouse to use it as an Android-driven computer with a desktop-like interface. Without further ado, here’s a quick recap of everything Samsung announced today. The new Galaxies come in two flavors, one with a 5.8-inch 570ppi AMOLED display and the other featuring a bigger 6.2-inch 529ppi Quad HD+ AMOLED screen. As is expected from Samsung, image quality is spectacular on these AMOLEDs. Both phones have a 2,960-by-1,440 pixel resolution panel with a bizarre 18.5:9 screen ratio. 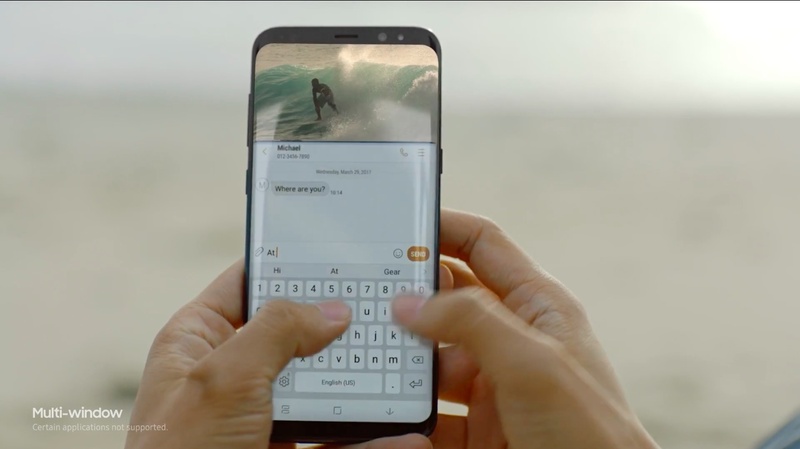 Users will first notice a nearly fullscreen face on their Galaxy S8 or Galaxy S8+ due to the fact that the seamless edge-to-edge screen is curved on both sides. There is no longer a model with a flat panel, so curved screens are now a thing. There’s hardly any bezel on the sides. The chin at the top and bottom is minimal. It uses Corning’s Gorilla Glass 5 on the face and the backside for durability and a high-quality finish. Both devices are IP68 water and dust-resistant and feature fast charging (via USB) and wireless charging (compatible with WPC and PMA). There’s no physical Home button on the front. However, rather than embed a fingerprint sensor into the display assembly, Samsung’s opted to relocate fingerprint recognition to a clunkier position—it’s now on the phone’s back, alongside the camera. Like with iPhone 7, the physical Home button’s been supplanted by a digital variant “built under the display”. 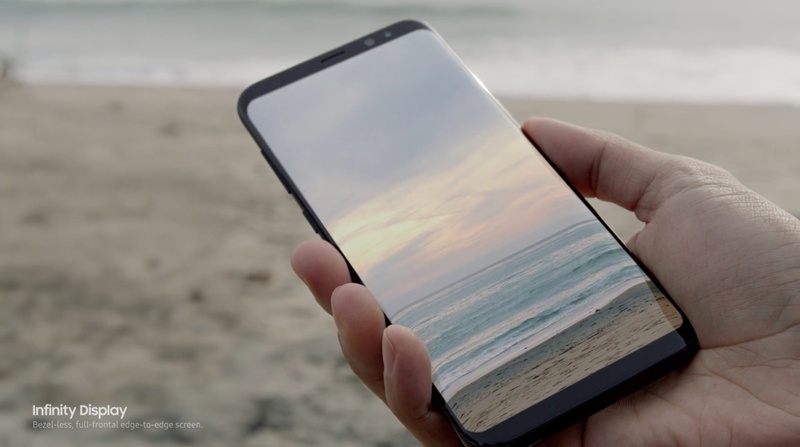 Next, the cameras… Each phone has iris scanning and facial recognition as optional authentication features for signing into websites and unlocking the phone without finding the fingerprint reader on the back with your finger. The rear Dual Pixel camera has twelve megapixels with a f/1.7 lens and optical image stabilization while the shooter out the front comes outfitted with an eight-megapixel sensor with the same aperture and autofocus, sans optical image stabilization. There’s no dual-camera setup on any of these phones. Samsung put a 3,000 milliamp-hour battery inside Galaxy S8 while it’s bigger brother uses a bigger 3,500 milliamp-hour. 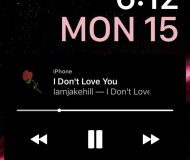 Other features shared across the new devices include a USB-C port, standard 3.55 mm audio jack, Harman Kardon stereo speakers, wireless charging and support for the latest Bluetooth 5.0 standard which lets you stream music to two devices simultaneously. Yes, the new Galaxies support Gigabit LTE, Gigabit Wi-Fi (dual-channel 802.11ac) and LTE Cat. 16. They run Android 7.0 Nougat and support a multi-window feature to run two apps on the screen simultaneously. Like earlier Galaxies, the new ones run either Samsung’s own or Qualcomm’s chip. In the United States, the devices will ship with Qualcomm’s octa-core Snapdragon 835 chip inside (2.3 GHz + 1.7 GHz) built on a ten-nanometer process. Customers in most other countries will get Samsung’s in-house designed Exynos octa-core processor (2.35 GHz + 1.9 GHz). Each device includes four gigabytes of LPDDR4 RAM. Galaxy S8 and Galaxy S8+ include limited augmented reality support built right into Samsung’s own Camera app. You just point the camera at anything to have the phone suggest web results from Amazon, Vivino and Pinterest (but not Google), based on identified objects. 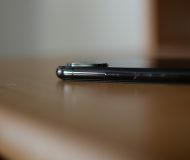 The power button is located on the right side while the left side houses volume controls and a dedicated hardware button that launches Bixby. 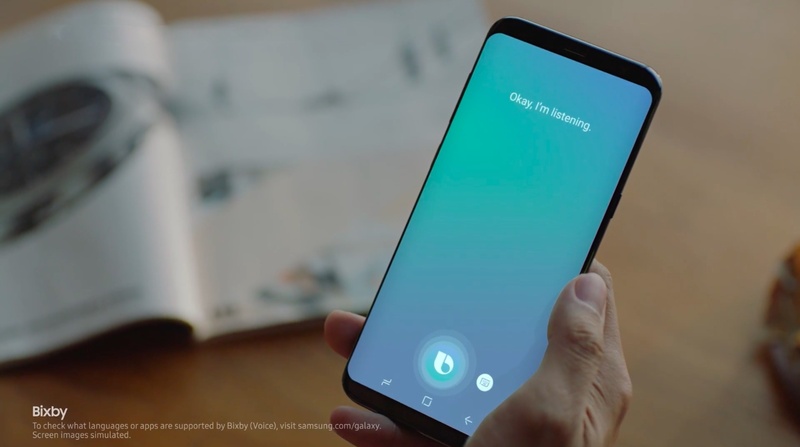 Bixby, as I’m sure you know, is Samsung’s brand new virtual assistant based on Viv Labs, a startup funded by the original creators of Siri that Samsung acquired last year. Bixby answers standard sets of questions like most other digital assistants on smartphones. It also leverages artificial intelligence and machine learning for contextual awareness capabilities that enable it to offer personalized help based on what it continues to learn about your interests, situation and location. With Bixby, you can also control other apps and Samsung Connect smart home accessories. 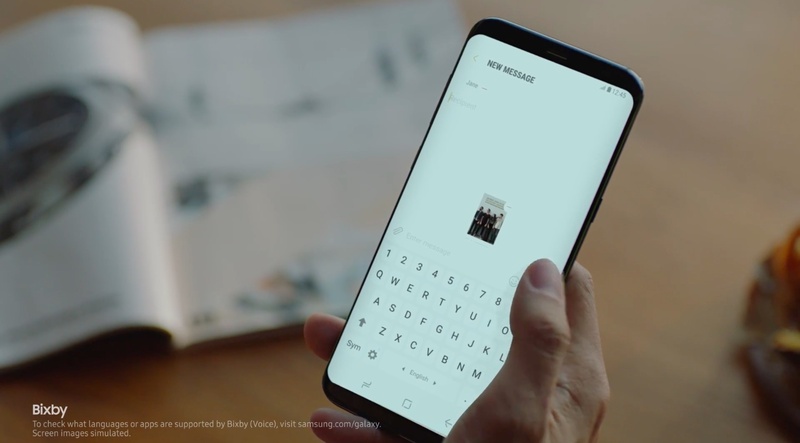 Bixby currently works with a handful of Samsung’s own Android apps—including Phone, Messages, Settings, Camera, Contacts and Gallery. The company confirmed Bixby support in the Google Play Music app and other third-party apps will come in the future. Inside apps, Bixby can accomplish tasks like rotate a photo, play a video and do other things, including things that require touch interactions to fully complete a task. 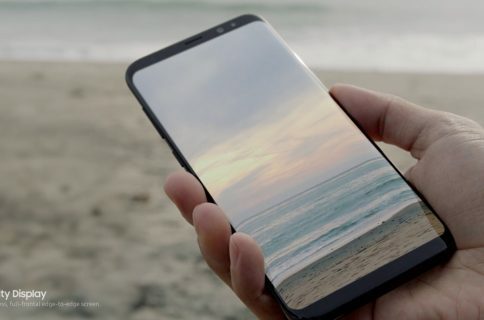 Bixby also appears as an augmented reality-enhanced computer vision in the Camera app that can identify objects in real time and then search for them online. Even though it’s not all that dissimilar from stuff we’ve seen before like Google Goggles or Amazon Firefly, Samsung’s implementation seems miles better than the competition. 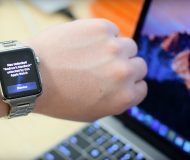 It can translate text, read QR codes, and recognize landmarks. 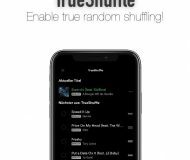 But lots of apps can do those things. Where Bixby excels is combining them all with what seems like pretty decent object recognition right there in your camera app. 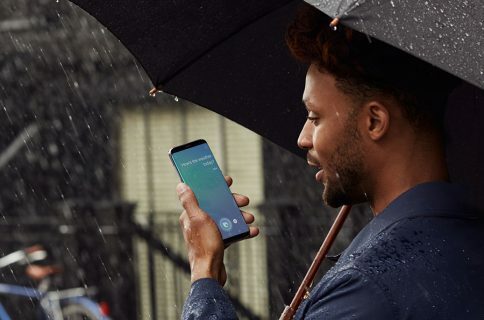 Like Siri, Bixby requires an Internet connection. Bixby has a Home screen of its own that appears when you invoke it with a press of the handset’s dedicated hardware button. Bixby Home, as it’s called, is basically a feed of relevant information culled from data on your phone and online that Bixby can interact with, including stuff like weather, smart home control, fitness activity and more. Bixby will work in US English and Korean at launch. Chinese and Spanish will follow shortly after, with more languages helpfully being added over time. Samsung also unveiled a few interesting accessories to go along with the new phones. 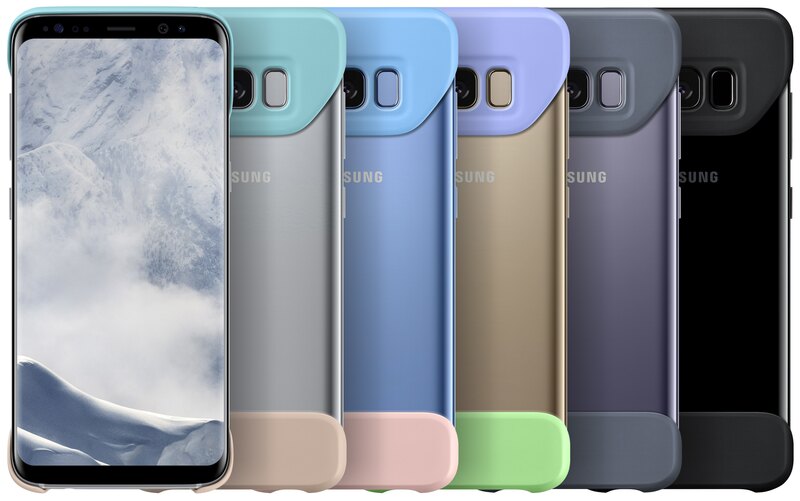 For instance, there are new Samsung-made covers available for the Galaxy S8 series, provided in several pastel-like colors. 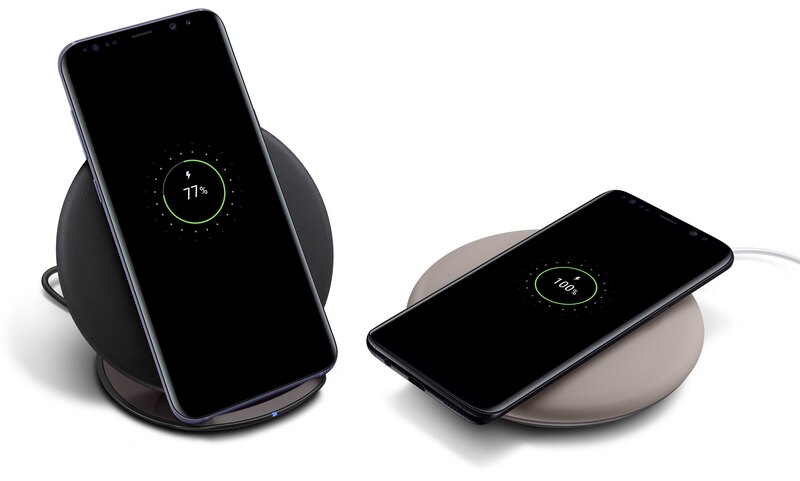 In addition to fast-charge technology via USB chargers, the new Galaxies support wireless charging that requires an optional charging mat accessory that must be connected to power, like before. Samsung’s phones have great battery life, and the new Galaxies are no exception with their 3,000/3,500 mAh batteries. 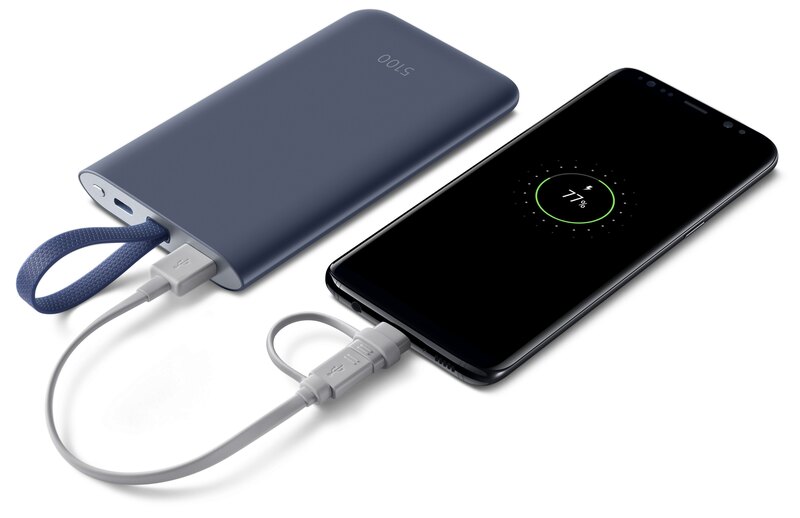 For those requiring even more juice on the go, Samsung is now offering an optional 5,100 mAh battery pack with support for fast-charge technology via USB. Samsung will be selling another interesting accessory: its Clear View standing cover, shown below. Galaxy S8 and Galaxy S8+ can also be docked in an accessory called DeX Station. You just connect an external display, keyboard and mouse to the ports on the back of your DeX to transform your new Galaxy S8 into a desktop computer. With DeX, you can run phone apps on a redesigned Android interface optimized for resizable windows, contextual menus and a desktop web browser. 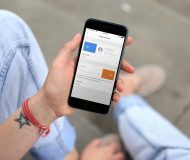 The station leverages processing power of your phone. Samsung partnered with Adobe and Microsoft for additional DeX features, like compatibility with Microsoft Office and Adobe mobile apps such as Acrobat Reader mobile and Lightroom Mobile, allowing desktop-like functionality. You can even use Windows-based apps with solutions like Citrix, VMware and Amazon Web Services. The station includes two USB 2.0 ports, plus Ethernet, USB-C power with fast-charge support and a cooling fan. The docking station will be available globally with the latest Galaxies and may be offered as a packaged bundle depending on region. Samsung’s Gear 360 portable camera has been updated with support for capturing 360-degree videos in crisp 4K resolution at 24 frames per second. It also shoots fifteen-megapixel photos. The new Gear VR uses 8.4-megapixel image sensors and Bright Lens F2.2 on both dual fisheye lenses and supports live broadcasting or direct uploading to platforms such as Facebook, YouTube or Samsung VR. 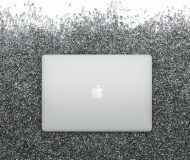 Interestingly, the accessory offers greater compatibility with Apple devices including the iPhone 6s/7 series, iPhone SE and Mac computers. As for Samsung’s Oculus-powered Gear VR headset, it now ships with its own tiny controller for motion interaction when accessing interactive virtual reality content. Watch Samsung’s entire Unpacked 2017 event in 360-degree freedom on YouTube. 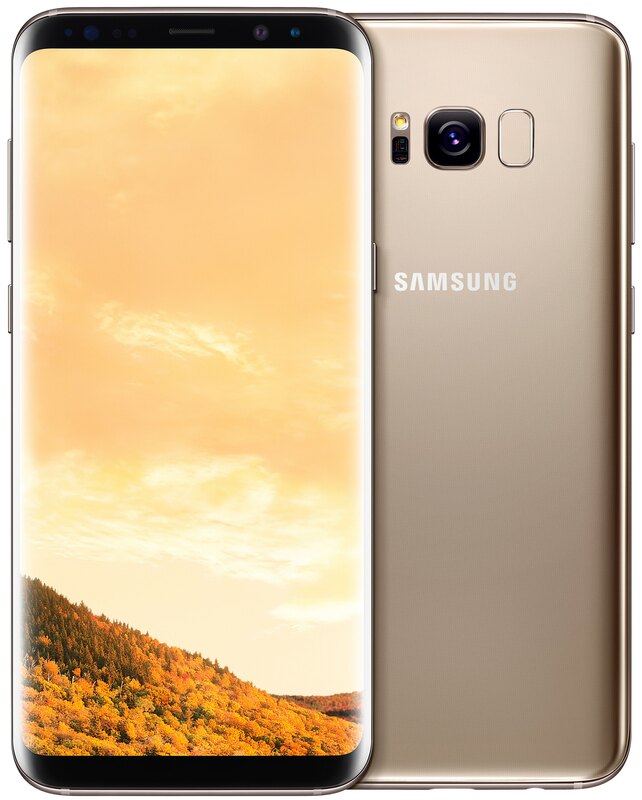 The new Galaxy phones come in Midnight Black, Orchid Gray and Arctic Silver in the United Sates. Customers in other markets will be treated to two additional color options: Maple Gold and Coral Blue. There are only two storage sizes, 64GB or 128GB, but the phones accept microSD cards for up to 256 gigabytes of storage. Samsung’s new high-performance earphones, tuned by AKG by Harman, are also in the box. Made from anti-tangle metal-fabric material, they sport a hybrid canal fit for better noise cancellation. Galaxy S8 and Galaxy S8+ will be available to pre-order beginning Thursday, March 30. 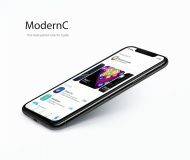 The phones will start shipping in the United States, Canada and across Europe on April 21. Prices will start at $750 for Galaxy S8 and $850 for Galaxy S8+. Note that prices may vary because actual pricing will be set by carriers. 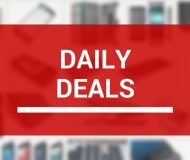 For additional information, visit samsung.com/galaxy. How do you like the new Galaxies? I think they’re the best-looking phones out so far and it’ll be interesting seeing what cool tricks iPhone 8 has up its sleeve. September can’t come soon enough!